Very spacious 2 bedroom, 2 bathroom, over 1900 sq ft Wilmington model on golf course (double fairway, 5th hole) with White Tank mountain view and lake view. Beautifully remodeled kitchen (2012), Meganite countertops, Roof and A/C about 10 years old. Covered patio, Outside stairs to the roof for observation. Special antenna allows you to avoid cable expense. 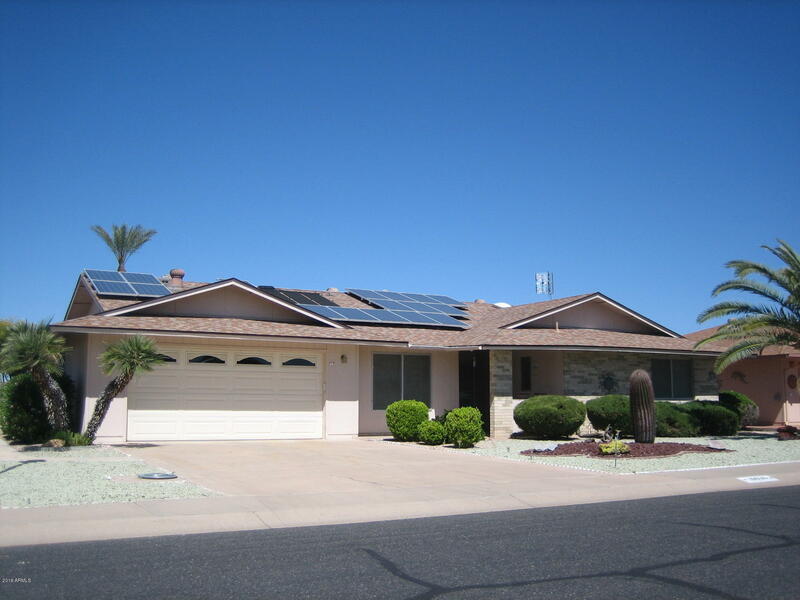 Solar panels leased, 2 solar water heaters, garage and utility room cabinets, utility sink, extra attic insulation, Maway water filtration system. Great Buy!